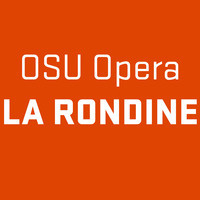 OSU Opera: Puccini's "La Rondine"
OSU Opera presents a full production of Giacomo Puccini's endearing "La Rondine." Directed by Dr. Anthony Eversole. $10 advance, $15 door. OSU students with ID and K-12 youth free. CAFA discounts apply.